In the making guide we mention ‘nodes’ as a good idea if you want to create more complex 3D designs. 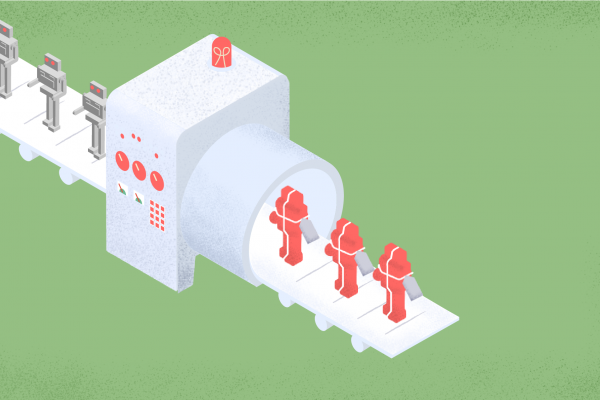 But what is a node and how do you create a good one? A node is typically used if your design has multiple parts that need to join together either by slotting or with a tab and hole joint. 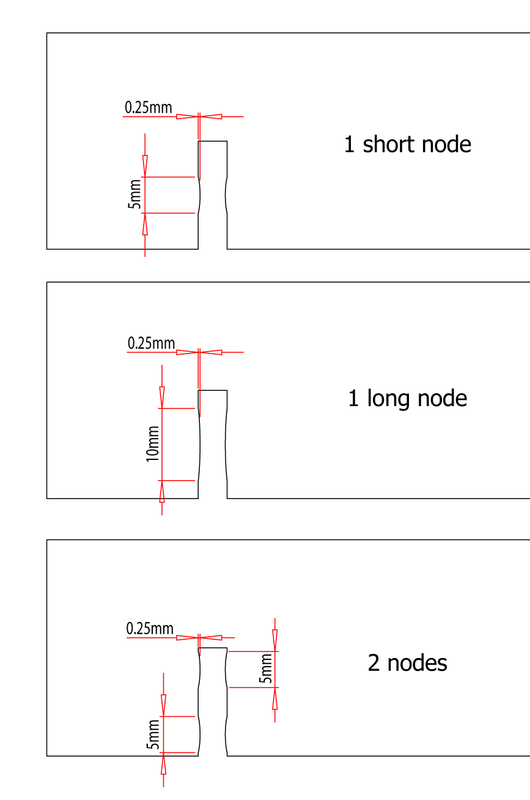 Nodes are little bumps located in the slots or on tabs in your product that are there to help compensate for material thickness variations and the laser kerf. This idea is they compress when a product is assembled providing friction at points rather than along the whole surface of the slot. This means the slot can be fractionally wider at the opening allowing the pieces to be slotted together easily but still create a snug joint. Finding the right balance between easy to put together but tight when assembled is no mean feat and is probably quite subjective. What I find easy to put together, some people don’t. It’s best to get a few people to have a go putting your design together if you intend to sell it as a flat pack item. So what is the key for a successful node? 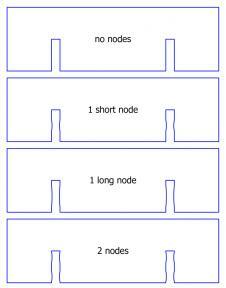 Symmetry – It’s best to have nodes on both sides of a slot mirroring each other. This will minimize any potential twisting that might occur if nodes are offset. Shape – A gentle curve works well. Something that leads on easily but provides good friction when it’s on. 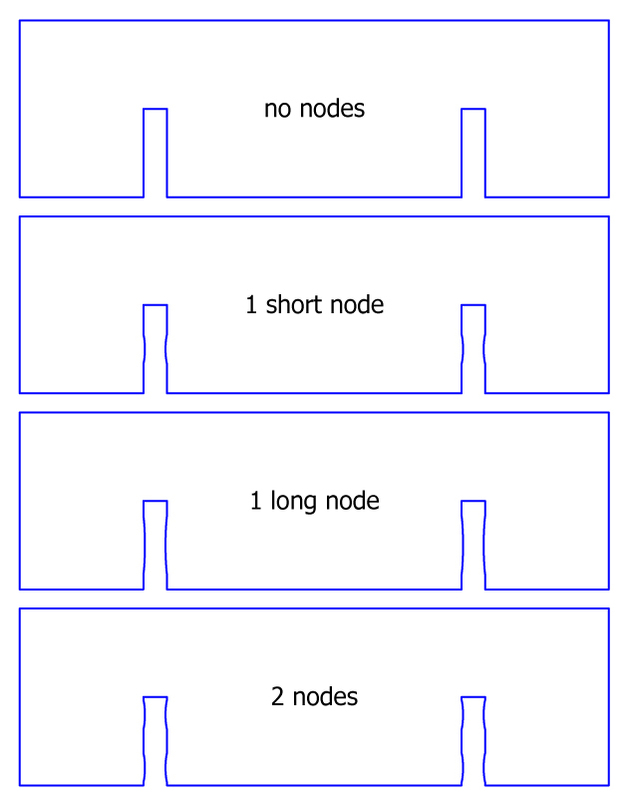 Multiple sets – If the length of the slot allows, you can have two or more sets of nodes. Again will minimize any twisting that might want to happen. Have one pair near the start of the slot and one about halfway between the middle and the end of the slot. Length of the node – The longer the node the gentler the curve which seems to make the pieces easier to slide on and off. 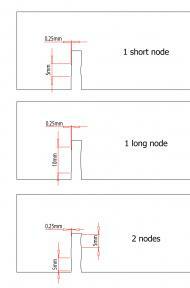 The minimum length of the node should be approximately 0.2in or 5mm. Width of the node – This will depend on the material you are using. If the material is dense, like MDF, and has little compression then the nodes should be shallow about 0.01in or 0.2mm each. So taking into account of nodes on both sides of the slot, that allows for 0.02in or 0.4mm in variation. If the material is less dense, like Eurolite Poplar, and therefore can compress more then you can use a bigger node, 0.02in or 0.5mm. It might pay to test a few different sizes in some mock ups (like the examples below) before committing to your full design to test exactly what will work with the material you wish to use. This information will work best with the plywood and timbers offered on Ponoko. The timbers tend to be a lot more forgiving when creating interlocking designs whereas Acrylic can be brittle and a bit trickier to work with. I’ll go into more detail about plastic joints in a later post. Below are diagrams of the experiment I did to illustrate the differences in node types with a video showing the physical results. Now this information is to be used as a guide to help you reduce the number of prototypes needed when creating products with Ponoko. It should be used in conjunction with the information on the laser kerf in a previous post to help make a best guess at how to design your joints. Feel free to be creative with nodes and let us know any successes or failures so we can learn from them. Fantastic video Dan, makes me wish I had a laser cutter right next to me for all the prototyping required to get the perfect fit in an efficient manner using nodes. The added costs involved with not being able to optimize a large design as dramatically due to nodes and the extra room for errors they create have caused me not apply nodes to my designs thus far. I can certainly appreciate the use of nodes though on designs that don’t have too many interlocking parts. I will have to keep this in mind in the future. Good job, Dan. Very useful info. 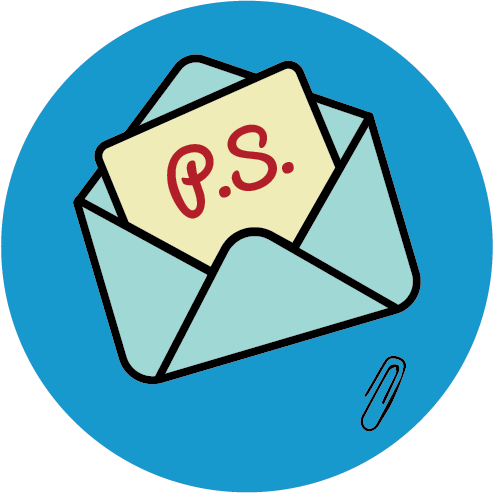 So, you say that you’ll go over the nuances of acrylic, “in a later post.” Where is this information? What are some tips for tight fits when using acrylic? Ditto the above, I need help fitting acrylic.